Elche holidays transport you to a charming town twelve miles from the coast on the Costa Blanca. The town is fairly close to Alicante. Holidays to Elche can be taken at any time as the summers are long and hot and the winters mild. It is however busiest during the summer months with temperatures rising to the mid-thirties at the height of the season. Holidays in Elche are popular with those who enjoy the Costa Blanca, but wish to be based away from the crowded seaside resorts. It attracts couples of all ages and is also favoured by golfers. We have a number of cheap Elche holidays that may tempt those seeking respite from inclement weather. These are considered great value as our commitment to quality and service is never compromised. Elche is an attractive town with a river running through it. It has some stunning architecture and a sightseeing tour is recommended, as with old churches, a fortress and a palace, and many gardens, there is much to see. Accommodation in the town is good and restaurants cater for all tastes. Shopping is more than adequate and since shoes and sandals are manufactured in the town, there are shoe shops on every corner. 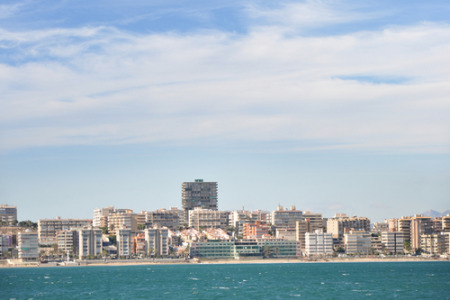 If you are looking for a guarantee of summer sun where you can combine town life with days by the sea, our low cost Elche holidays may be just the ticket. For further details and to view our best Elche holiday deals, please use the search facility.